Venha ficar e jogar em Del Mar! 'A nossa casa de praia' fica no primeiro andar e é o equivalente a dois condomínios em tamanho. Estamos apenas "um curto quarteirão do mar '. No dia 27 de St e Camino Del Mar no Del Mar Colony. O condomínio oferece uma atmosfera brilhante e alegre da vida de praia. A cozinha atualizado e máquina de lavar em casa e secar dá a conveniência de casa. O condomínio oferece nova pintura, encanamento novo, portas, luminárias, móveis, TV de tela plana e roupa de cama. Temos um amplo armazenamento cheio de necessidades de praia. Os quartos são "extra grande" dividido por um caminho municipal. An Den entretenimento oferece um balcão, bar e sofá / cama. Assista corredores e ciclistas que você tiver seu café da manhã. O San Diego Fairgrounds Race Track e estão dentro da visão. O aeroporto de San Diego fica a 20 minutos, juntamente com a estação de trem Solana Beach, que pode levá-lo para San Diego, Disneyland, ou Legoland. Venha 'Make a Memory' at 'Our Beach Home'. Frente espaçosa casa de banho com lavatórios duplos, generoso espaço no balcão e grande banheira / chuveiro. Casa de banho principal privada 3 peça. Não há banheira. Quadras de tênis da comunidade 10 quarteirões de distância, trilhas para caminhada, Torrey Pine Preserve, Golf Torrey Pines, Loma Santa Fe minutos de golfe executivo de distância. Starbucks e restaurantes a uma curta distância. Really liked the house. Comfortable, spacious, conveniently located. It was a real pleasure having you and your family as guests in our condo. I hope you will consider "Making Family Memories" in Del Mar again. Love to have you back! Excellent value. Close to beach. Immaculate apartment. Follow flushing instructions! Pipes are a bit small and clog easily. Upstairs neighbor had a small problem while we were there. Parking space #5 is small, between two pillars. Park on 27th street. It is only 30 feet away! Use body boards and other beach furniture in the cabinet! Neighborhood is walkable. We walked north to Brigantine and south to Poseidon for excellent food. We had 2 families, with our grandson (9) and gdtr (6mos). Plenty of space with bar nook. No A/C, but fans throughout, and we slept most comfortably. Outside shower to remove beach sand. We walked to the beach several times a day, across the street and past 4 houses and there. Excellent value. We plan to stay again when in the area. This condo is large, comfortable, well furnished and at what I call the quiet (northern) end of Del Mar. It is located near the Via de la Valle entrance to I-5 and not far from Hwy 56 which goes inland to Poway. 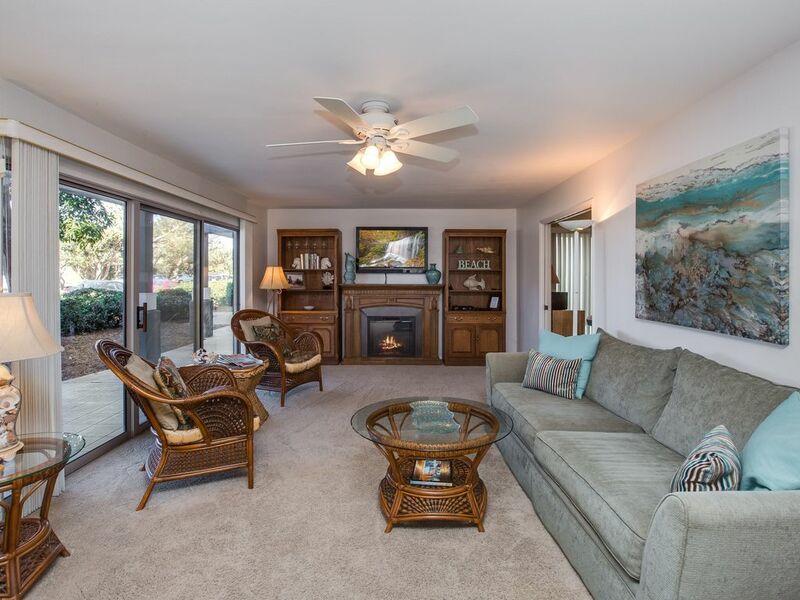 Best of all it's a very short walk to the beautiful Del Mar beach and an easy drive to downtown Del Mar. For my money it's one of the best San Diego beach locations. The condo is full furnished and very comfortable. Judy is an excellent owner/landlord. Our family would happily stay in this rental again and again. No complaints and a fine weekend experience. Thank you, Judy. Great place to stay for the weekend! Judy was extremely easy to deal with. The home was clean and close to all of the activities that we had interest in. I will definitely stay here again. Great location. Very clean. Very accommodating owner. Will return again! Great location. Very well appointed condo. Clean and very comfortable. Novo Del Mar Community Tennis Courts a uma curta distância. Visite Old Del Mar, Starbucks, restaurantes, lojas, eventos de feiras. Torrey Pines Preserve trilha incrível de caminhada / ciclismo / corrida com vistas espetaculares do oceano. Jardim Botânico em Encinitas e Executive Golf Course. Confira a Ferroviária Coaster e levá-la para Petco & Gas Lamp District ou visitar o Del Coronado Hotel. Todos são fabuloso!